What Does Dignity Have to Do with It? There’s a PokéStop right outside the Espresso Royale–next door at Noodles & Company, actually–but I can spin as I sip my coffee. It’s Autumn Spice coffee today. That’s new; I’ve never seen it here before. Different, a hint of cinnamon and sweetness that’s smooth and full. I stare out the window, down the street where I used to work. Financially, it was a great job. Mentally, physically and even spiritually, I’m glad I left. If I judged my overall experience as I do customer service, well, I wouldn’t leave a tip. At all. There’s a PokéStop outside my old building, and I bet if I still worked there, I couldn’t spin it from my desk, adding to my misery. I didn’t want to touch the dishes. They weren’t mine. That was the point. There were three saucers on the table, one coffee cup and a glass of water. Ew. Would I move dishes in a restaurant? Am I expecting too much here? It’s not like they were super bustling busy. He took the dishes but didn’t wipe the table. I have my own glass of water and I have napkins, so I’ll do this. Besides, servers never dry the tables, leaving them wet and sticky. My phone is open beside me on the dry, smooth, nonsticky table. 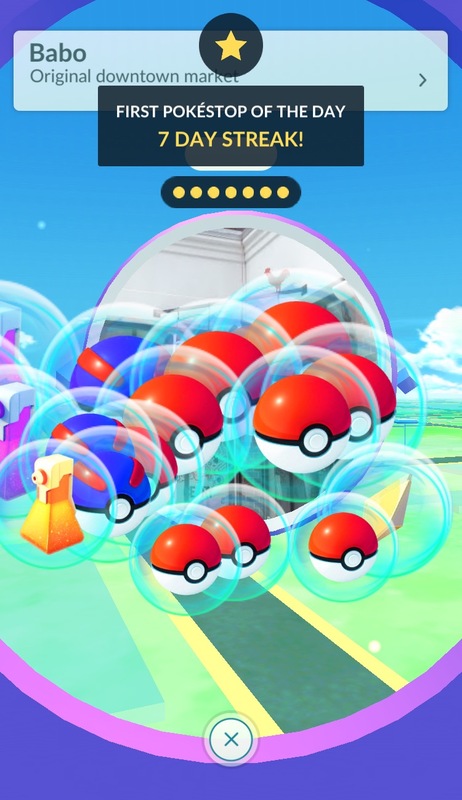 This way I can see when the PokéStop sets, and I can spin for more Pokémon items. Everyone here has a phone out, necks cricked down as fingers type. Several students have headphones. One girl wears earbuds, and another girl has the full-on heavy metal jacket-type earphone helmet. I bet they’re noise canceling ones. Why don’t people talk anymore? I’m as much to blame since I watch for PokéStops and critters these days. I rarely look up at the sky. I’m surprised I’m looking around now. Well, the PokéStop is purple, waiting to reset. This is not a setting for talk, especially with everyone’s insulation of isolation. These are solitary college students who never knew of a time when coffee shops didn’t exist. They don’t know the intricacies of speech or the delight of hearing a friend’s voice on a phone call. A phone call. Yes. At the beginning, phones were made for dialing, not texting. I like texting. I got into that at my last evil ex-job–not the one down the street here–when every incoming call was monitored and logged. My husband used to call me just to hear my voice; then he sent me “thinking of you” texts during the midday instead. I miss Dad at times like this. He’d be here talking across the table, talking so much that he’d annoy me and I couldn’t focus on my work right now. But he’s not here, and he won’t be. He died almost 12 years ago–11 years and 10 months ago, I calculate. I don’t feel like counting the days; this is close enough. Right now, I’d rather be annoyed than lonely. The baristas aren’t chatty. It’s-all-get down to business, an atmosphere feeding off of the students. This place is not like any of the three Starbucks I frequent near my house. They’re friendlier there; heck, they’re friendly. Must be a class break because the streets are busy and the sidewalks congested. There’s a line almost out the door. People sit around me, gather in twos and threes and there’s conversation. It’s the lunch meeting crowd. The people across from me talk about meetings of some sort, and two guys set up laptops behind and chatter about something mathematical or scientific, something I know nothing about. I like the more noise part, but it’s all business. It seems no one is talking just for fun, about life and sharing what happened today. You know the casual meeting for the joy of company. No one’s even talking about games or PokéStops. I miss all this daily hustle and bustle, walking to shops and restaurants and being among people. But I don’t miss work. If any ex-coworkers came in, I wouldn’t talk to them, and that’s just fine with me. I get it that people can have “those kind of days.” Everyone does, but it hurts more in small coffee shops. As much as I enjoy the consistency of big-box coffeeshops, I support local ones for the atmosphere, business and the differences they offer. I hesitate to go back there again; is it a new management, turnover of employees or are the baristas in a constant state of “those kind of days.” There are other shops I can support. Customer service: #1. Pokémon is not in my mental space. I heard about it but not something I have any interest in knowing about. But if you are at a Starbucks and not getting service…not good. Something is missing in the pride of the employees. I always worked as if I owned the place I was working for and gave the best service I could.